Fourth grade is the “bridge” between the primary and intermediate grades. Students develop into more independent learners as they rotate through different classes during the school day. Each student enjoys the stability of their homeroom teacher but also benefit from the different teaching styles and techniques of the other fourth grade teachers as they study Bible, science, history, math, and the language arts. They are encouraged to use higher-level thinking skills in each class as well as being taught a biblical worldview in each subject area. They have a different special each day where they are encouraged to appreciate art, music, Spanish, computer and of course, PE. They attend chapel once each week. Fourth graders learn fundamental Bible doctrines using the Purposeful Design Curriculum. The doctrinal truths investigated are: God, His Word, Christ, the Holy Spirit, the church, salvation, as well as heaven and hell. Students learn how to apply these truths in a personal way with the use of Differentiated Instruction which includes Bible stories, visual aids, memory verses, a variety of class activities including iPads and Smartboards. The students memorize weekly Bible verses as well as the books of the Bible. Throughout the year the students also investigate biblical finance principles using the Crown Financial Ministries curriculum. To wrap up their 4th grade year the students do an inductive Bible study on the book of Jonah. They learn how to study a portion of scripture, look for key phrases and decipher the meaning of the verses. The fourth grade curriculum focuses on the following subject areas: reading, grammar, creative writing, and spelling. Reading opens the door to the world. Students learn to read a textbook by studying its parts and learning how to use reading tools such as maps, graphs, special fonts, and a glossary. Then they proceed to reading comprehension. They read to increase comprehension using stories and novels. This is done through independent and whole group reading. Other specific skills taught include utilizing context clues to predict meanings of words, characterizing, comparing and contrasting, and discerning fact from opinion. The grammar curriculum utilized is the Shurley grammar method. It uses rhythm and rhyme to help students learn the parts of speech and to improve their grammar skills. Students learn to classify sentences through oral repetition. They apply their knowledge of grammar skills to sentence and paragraph structure. The Shurley method includes formal and creative writing lessons. Students need the ability to express themselves in a clear and concise manner. The spelling course presents the students with 20 words weekly, based on high frequency, high interest, and phonetic principles. An additional five words are added to enrich their vocabulary skills. The lessons are teacher-directed and incorporate independent and cooperative activities stressing sound- letter relationships, visual memory, and meanings of words. These words and skills are readily applied in the students’ writing. Biblical principles, verses and a mission theme are also presented in each lesson. Each lesson is presented to students using a differentiated approach to ensure that students are receiving the instruction, practice, and enrichment needed to fulfill their academic potential. 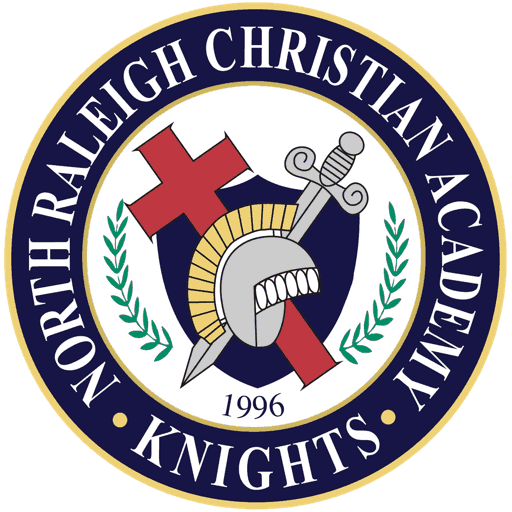 NRCA’s curriculum concentrates on traditional and practical mathematical concepts. The Bob Jones’ curriculum’s major objectives focus on place value, problem-solving, English and metric measures, fractions, long division, graphing and geometry. Students examine ways math is used in everyday life. Students solve three digit multiplication problems, double digit division problems, solve measurement equations, find the mean, mode, and median of numbers, solve multiple step story problems using clue words as well as higher order thinking skills, and learn the metric prefixes used to solve metric measurement conversions. Accuracy as well as comprehension is emphasized. The students learn to read, construct and interpret data from pictographs, bar, line, and circle graphs as well as Venn diagrams. They study probability, solve algebraic equations, identify polygons, lines of geometry, symmetry, and figure the perimeter and area of rectangles and squares. They learn addition and subtraction with fractions and mixed numbers. Students learn the procedures for making common denominators and equivalent fractions. The fourth graders will also be learning how to multiply and cancel fractions. Students have weekly quizzes or tests, timed daily review, and homework as well as games, partner activities and visuals as part of their math learning experience. The iPads will be used as an educational tool that will be used for assessments, educational games and resources to help practice our math skills. We use differentiated learning in the classroom to help meet the needs of all the students. Our goal is that all the students have opportunities to learn in the best way for them and it does not matter how they solve the problem. The Smartboard will be used daily in the classroom as well as iPads, interactive games, collaborative learning groups, direct instruction, and the workbook to ensure that all learning styles will be reached while the math is being taught. Heritage Studies 4 is a colorful, age-appropriate presentation of social studies that integrates government, culture, economics, and geography, all presented from a Christian worldview. Heritage Studies 4 chronologically covers United States history from the beginning of America through World War II, and the lessons include seven chapters on the regions of the United States, where the students will learn about the history, culture, climate, wildlife, and other important facts of each region. Each chapter includes stunning art, maps, timelines, graphs, photos, and quick-check questions. Some chapters have an extended activity and biographies to enhance learning. The curriculum utilizes weekly lessons with associated labs to reinforce concepts. Areas examined include life science (the study of living things), physical science (forces, energy, and matter), and earth science (atmosphere, plate tectonics, natural disasters and the universe). Investigations are inquiry-based, student- driven, and teacher-directed. Differentiated Learning (guiding of students in varied methods of learning to ensure each student’s learning styles are met at a level that will be challenging) is at the forefront of what we do in 4th grade science. The integration of the iPad and Smart board technology into our classroom creates captivating hands-on and interactive activities through independent and group-work. Connections to Scripture will be examined, emphasized, and encouraged. Students grow in their understanding of God as the Purposeful Designer of our universe and reflect upon the greatness of His creativity, order, detail, provision and thoughtfulness in making His Creation.